This document provides instructions for our Real-time Notifications extension. 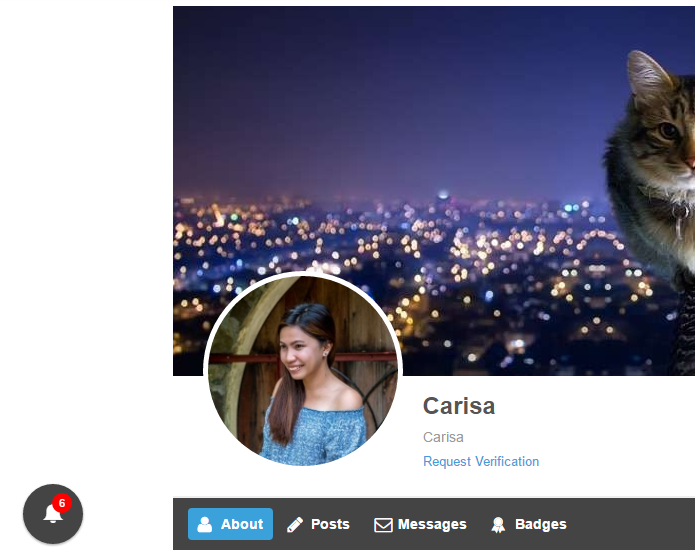 When the extension is activated, it will add a Notifications tab under Ultimate Member > Settings > Extensions. Enable real-time instant notification - It is recommended to turn this setting off if your server is getting some load. Change the location of the notification icon to either bottom left or bottom right. Modify the number of seconds on how often you want the ajax notifier to check for new notifications. Always display the notification icon - If turned off, the icon will only show when there's a new notification. Account Tab - Show or hide an account tab that shows the web notifications. When a user receives notification, a red circle will appear on the notifications button with a number inside. This number indicates how many new notifications are received. Users can view new and past notifications via the notifications button/pop up or by going to the notifications page. 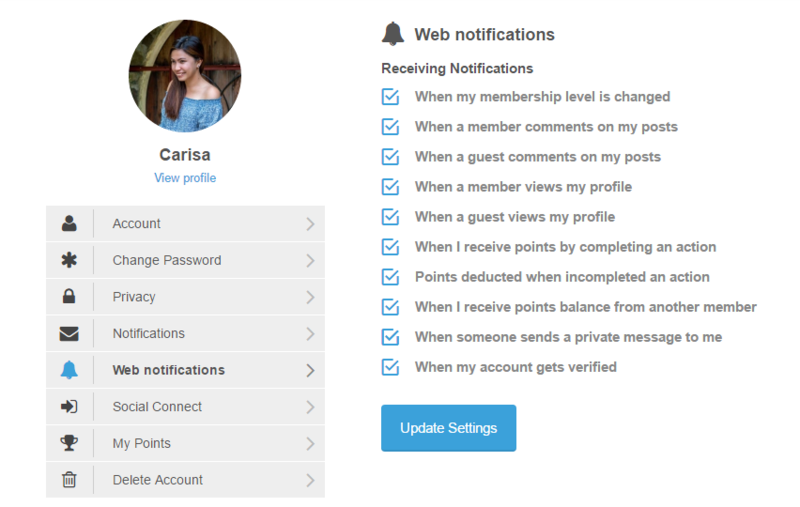 If the " Account Tab" is turned on under the Notifications settings, users can control what notifications they want to receive from their account page. These includes core notifications as well as installed extension notifications (E.g. User Reviews and myCrRED).